"Remember - it's not real… It's all in your head." Vertical Entertainment has debuted a full-length official trailer for an indie crime thriller titled The Strange Ones, to follow-up the teaser from a few weeks ago. This mysterious thriller from directors Christopher Radcliff & Lauren Wolkstein first premiered at the SXSW Film Festival earlier this year. The story follows two travelers as they make their way across a remote American landscape, with odd things happening. This stars Alex Pettyfer, James Freedson-Jackson, Emily Althaus, Tobias Campbell, Owen Campbell, and Gene Jones. The film won a Special Jury prize at SXSW for the Breakthrough Performance of James Freedson-Jackson. The more they show us, the more intrigued I am by this, there's something else going on and I can't help but say I'm curious to find out. You can still watch the first teaser trailer for The Strange Ones here, to see a different look at this film. Mysterious events surround two travelers as they make their way across a remote American landscape. On the surface all seems normal, but what appears to be a simple vacation soon gives way to a dark and complex web of secrets. 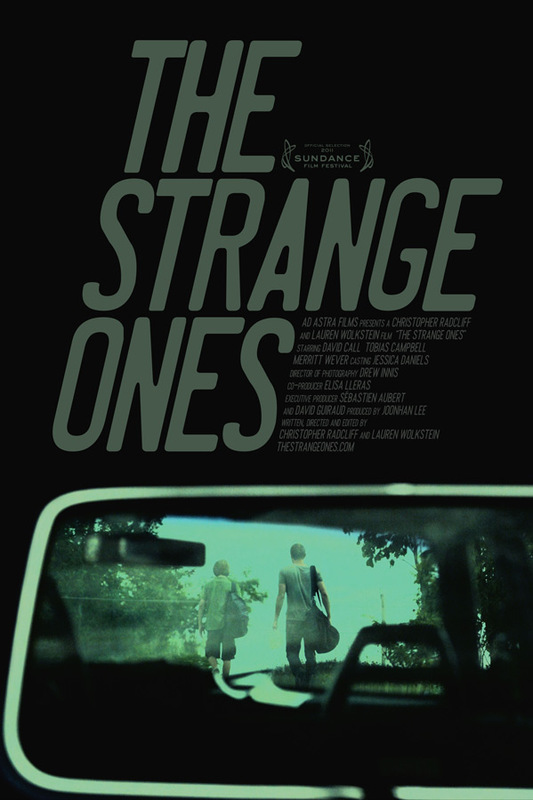 The Strange Ones is co-directed by American filmmakers Christopher Radcliff & Lauren Wolkstein, both making their feature debut after a number of short films previously. The screenplay is written by Christopher Radcliff, based on a story by Christopher Radcliff & Lauren Wolkstein. This first premiered at the SXSW Film Festival earlier this year, where it won the Special Jury prize for a Breakthrough Performance. Vertical Entertainment will release The Strange Ones for a one-week qualifying run on October 20th. It will then be re-released in select theaters starting on January 5th, 2018 next year.